We have flown in and out of dozens of countries. Some airports are clean, calm oases, while others are dusty, crowded places. 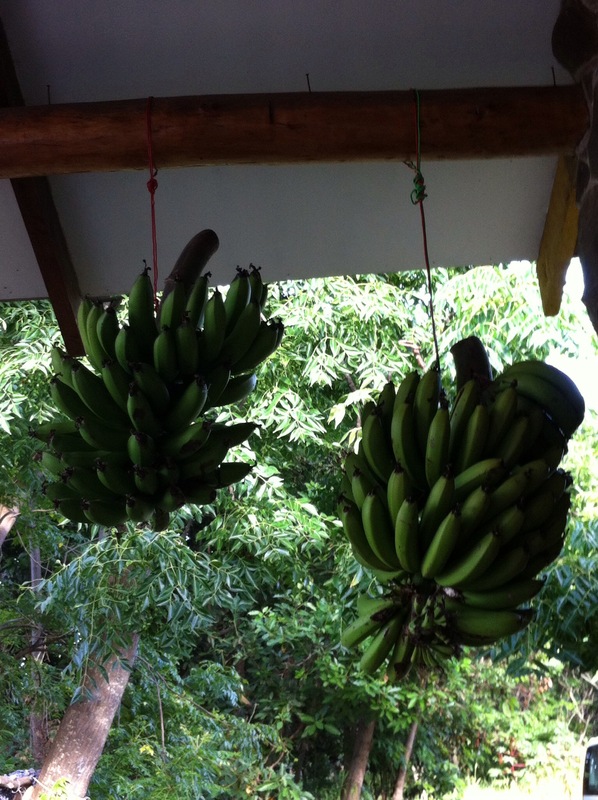 Regardless of the language, all have an expected flow and order to the system, however structured or lax that may be. 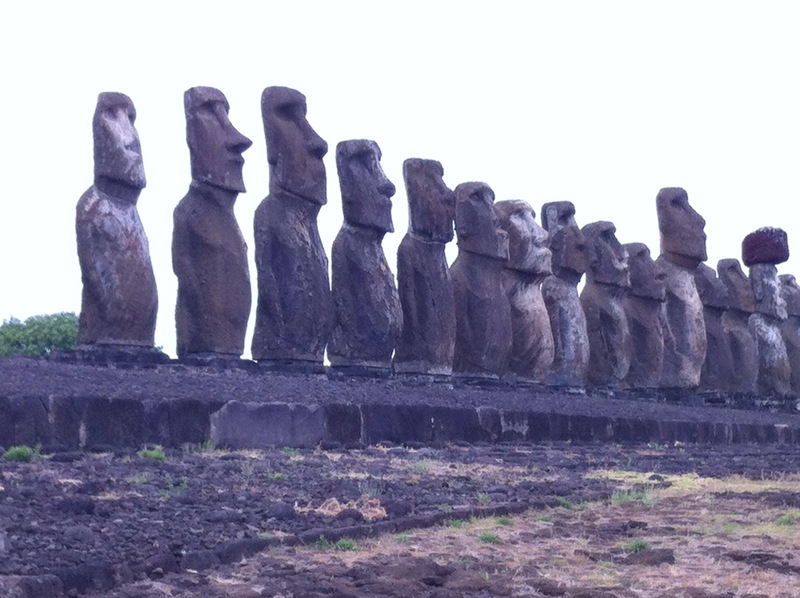 Checking in for Easter Island has been our most confusing flight ever. 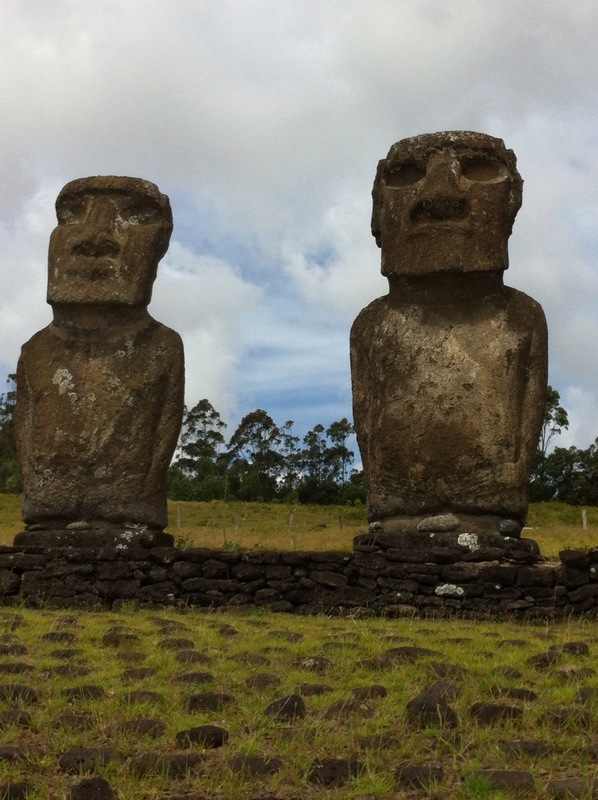 Easter Island, while a Pacific Island, and a significant length of flight from the mainland, is part of the country of Chile, as Hawaii is to the USA. Flying from Santiago, we expected to check in as a domestic flight. The airline personnel, however insisted we had to go to the international check in desk, so we did. The check in desk then directed us to the international security line. On arrival at security, the checkpoint director turned us away, sending us to the domestic security check line. We went through domestic security and followed the signs to our gate, noted on our ticket as gate 20. 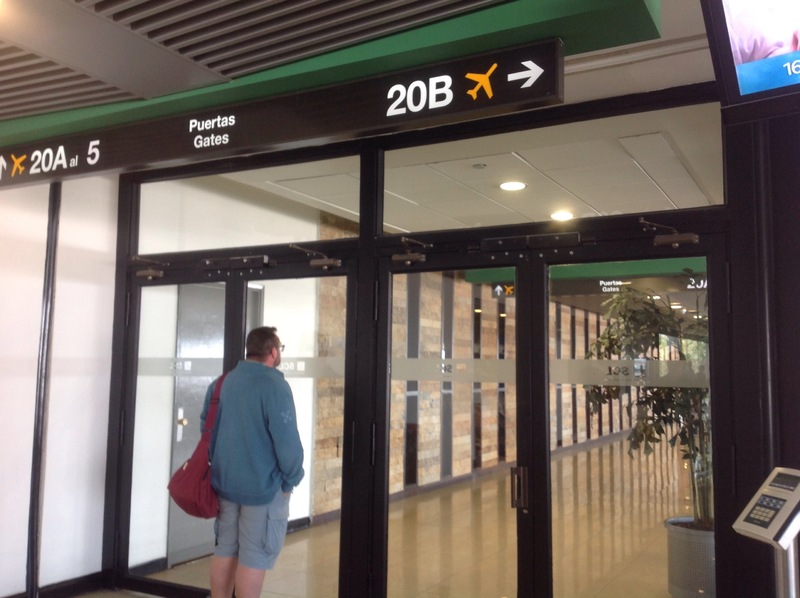 Gate 20 is in fact, gate 20 A and gate 20 B. While it is not uncommon, in many airports to have an A and B gate, this one was divided by a glass wall, with an unmanned, locked door. Our flight was listed on the signage for gate 20 A. We were at gate 20 B, on the wrong side of the locked door. Our gate, 20 B, had no signage for any flight. We and a dozen other passengers, all walked up, tried the door, and stood frustrated and confused. Gate 20 A was in the international terminal. Passengers were not allowed to cross the glass barrier. He was correct. We did board from gate 20 B. Passengers also boarded from Gate 20 A, onto the same flight. 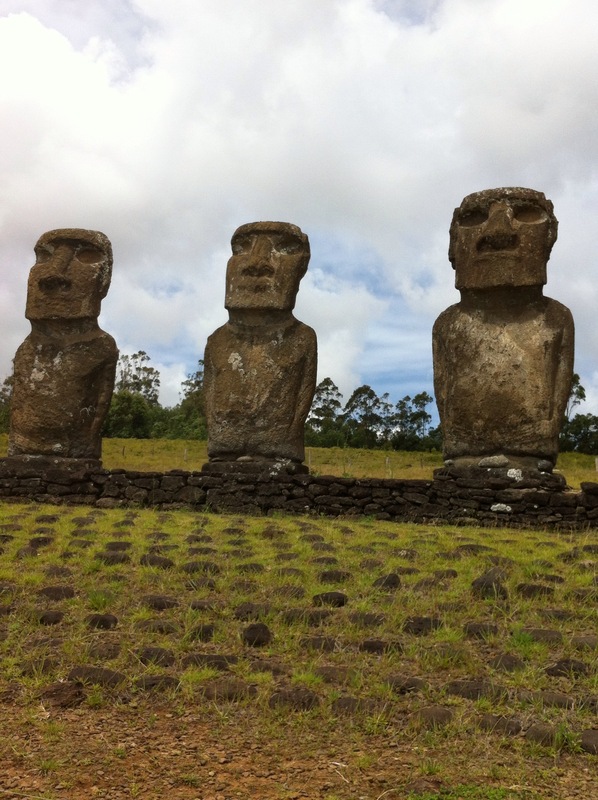 They had gone through Chilean immigration, as the flight would continue on from Easter Island to Tahiti. 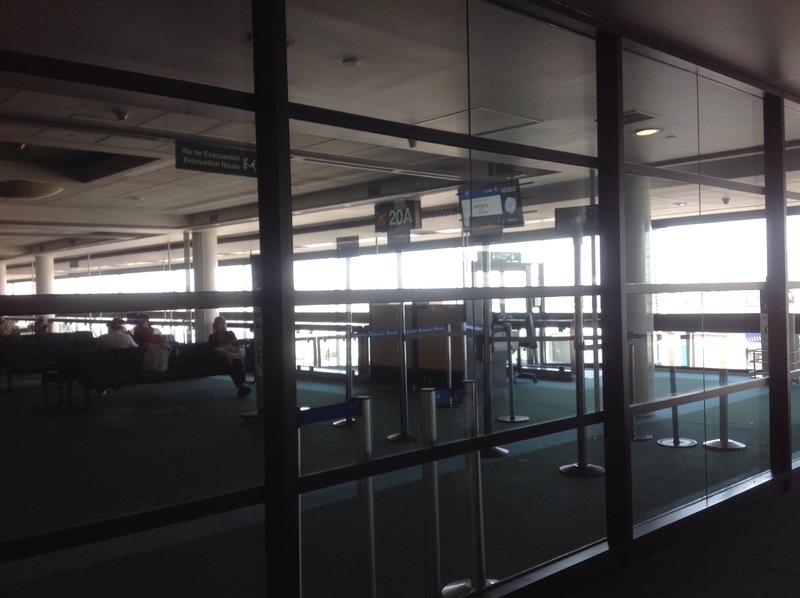 Both A and B sides of the gate shared a jetway, that led to the same airplane. Despite the lack of signage, the flight left on time, and we made it to our destination. You would think that with a regularly scheduled flight, this would happen often enough someone would post a sign to reassure the confused passengers. 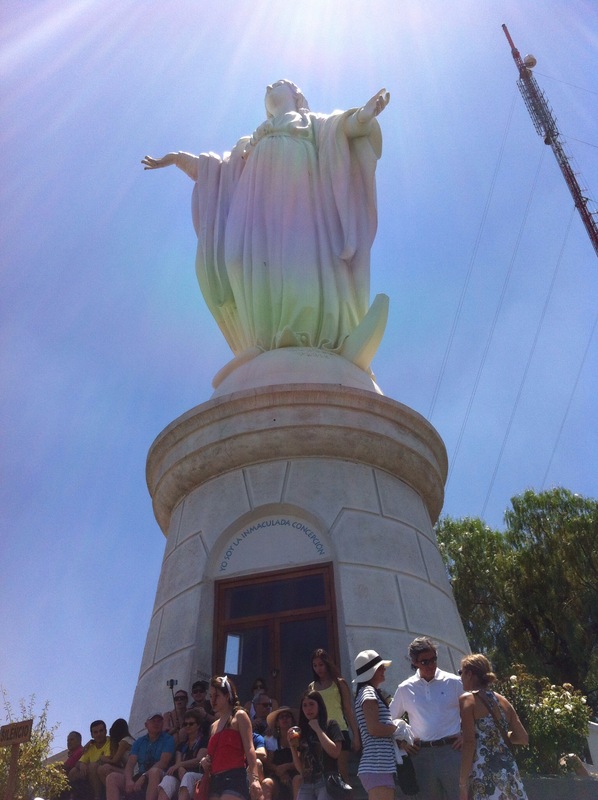 Above Santiago is Cerro San Cristobal, a high hill, topped with a statue of Mary. 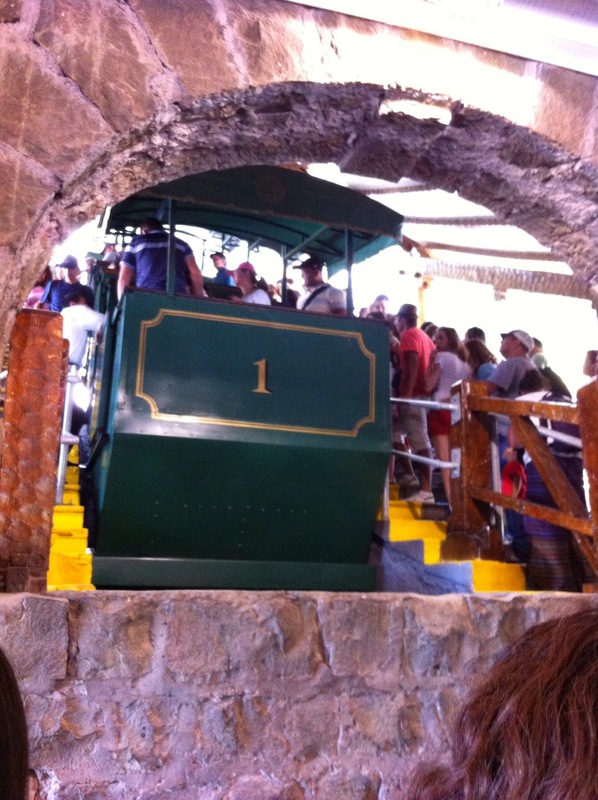 A funicular, or inclined railway, takes visitors from the bottom to the top, making a stop at the zoo, halfway up. Joining a line of locals enjoying a family afternoon at the park, we purchased our tickets for the ride to the summit. When we entered the car, a plaque noted that this was the same car used by Pope John Paul II when he visited Santiago in the 1980s. A few minutes later, we disembarked at the church of the Immaculate Conception, guarding the walkway to the foot of the statue. The fog limited our view of the Andes, but we had a clear view of the city below. Pan pipes serenaded us as at the souvenir shops and cafe while we waited for our return journey down the rails. Another family find on our Chilean stop was the MIM, Museo Interactive Mirador. In the Mirador suburb, a dozen metro stops from the center of town, the shiny new science museum filled an afternoon for Boy. He especially loved the construction area, where kids could use small versions of cranes, and other construction equipment. 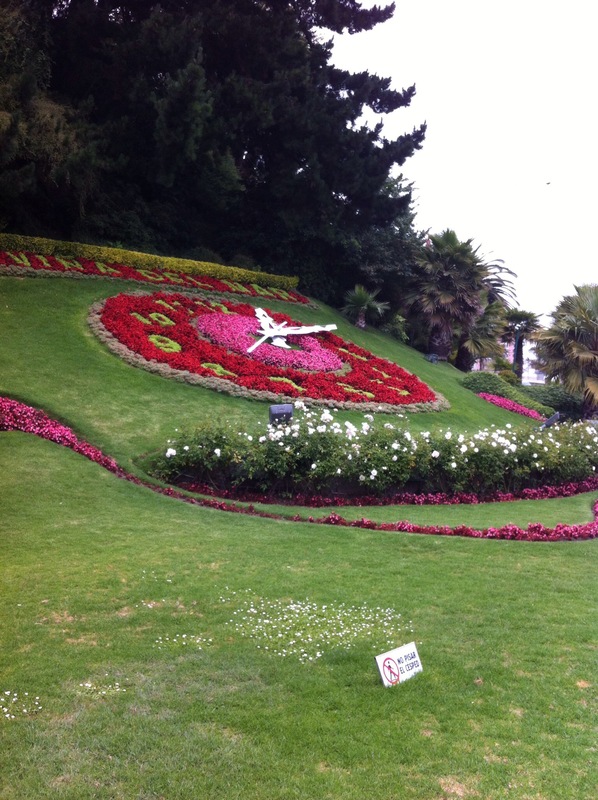 Just outside our apartment was Parque Forestal. This large green space had several large playgrounds, and a terrific cafe at the end near the Bellas Artes museum. Overlooking one of the playgrounds, the two level cafe was decorated with antique toys. Their menu featured lunch items, coffee and beer for the parents, and incredible ice cream sundaes for the small people. 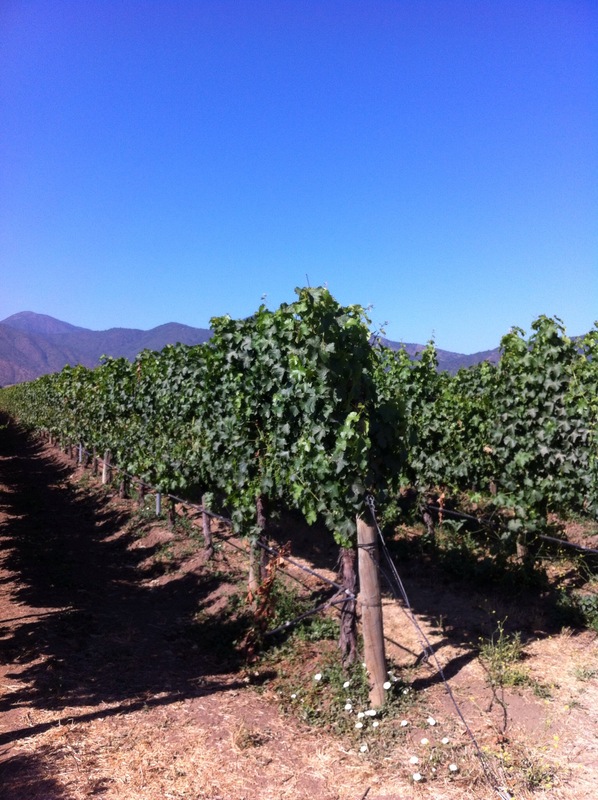 We made a few grown-up stops as well, checking out the Pablo Neruda museum in Valparaiso and a winery in Vina Del Mar. These intrigued Boy less, but more ice cream and the beach made it a tolerable day. 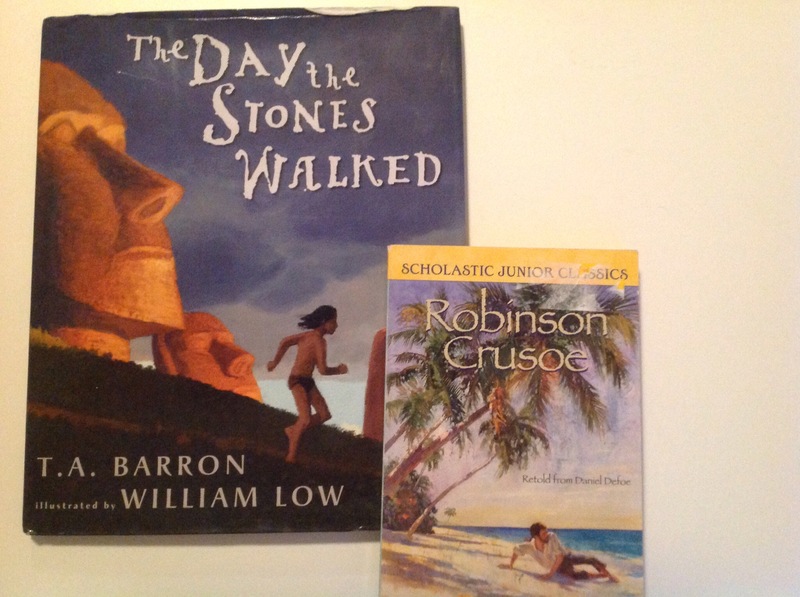 Our school work this week has been focused on Spanish language practice and review topics, as we try and finish up our Language Arts and math workbooks, before starting on our Rainforest and Inca studies next month. We also picked up a book in Australia, that we are working through this month: Once Upon A Slime, by the author of the 13 Storey Treehouse. This book for elementary school kids, with lots of cartoons, is about the writing process: how to get ideas for stories, and how to make a writers notebook to help you improve your writing. Boy is a reluctant writer, but loves the 13 Storey Treehouse books, so this has been a fun find. It was Tuesday morning when we left Australia. A full day later, with many movies watched, meals eaten, and little sleep, we disembarked in Santiago, Chile, still on Tuesday morning. Perhaps it is repeating the day, but jet lag seems much harder to cope with flying in the westerly direction. We cleaned up, unpacked and pushed through our afternoon in our rented apartment, making it out to a cafe about 3 pm. Returning from our late lunch, we all struggled to stay awake till 5 pm, before collapsing into bed. Boy begging, “please, please can I go to sleep, now?” Not even extra computer game time could entice him to try to stay awake longer. Up again by 3 am, we counted the hours till we could go out for sightseeing. 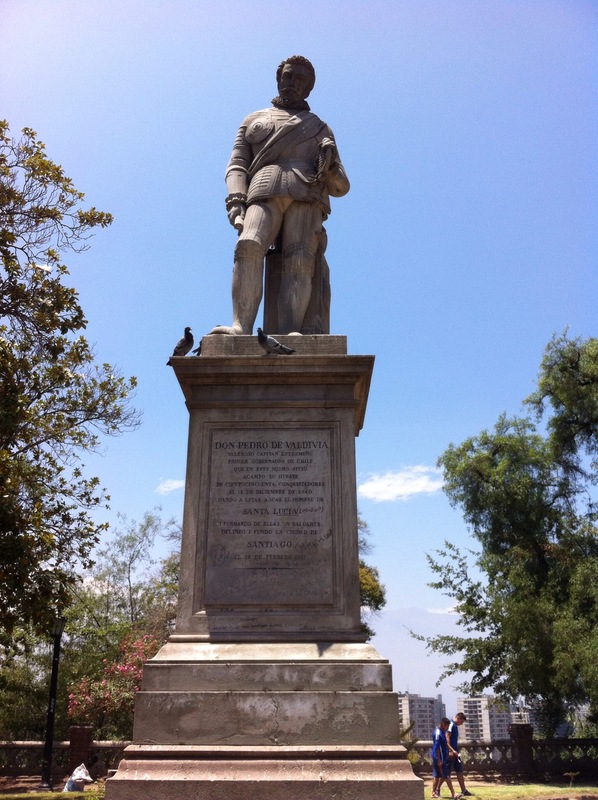 By 9, fed, cleaned, and bouncing off the walls, we walked to the Plaza De Armas. Finding a cafe, we took in the morning commuters while we sipped coffee and juice waiting for the museums to open. 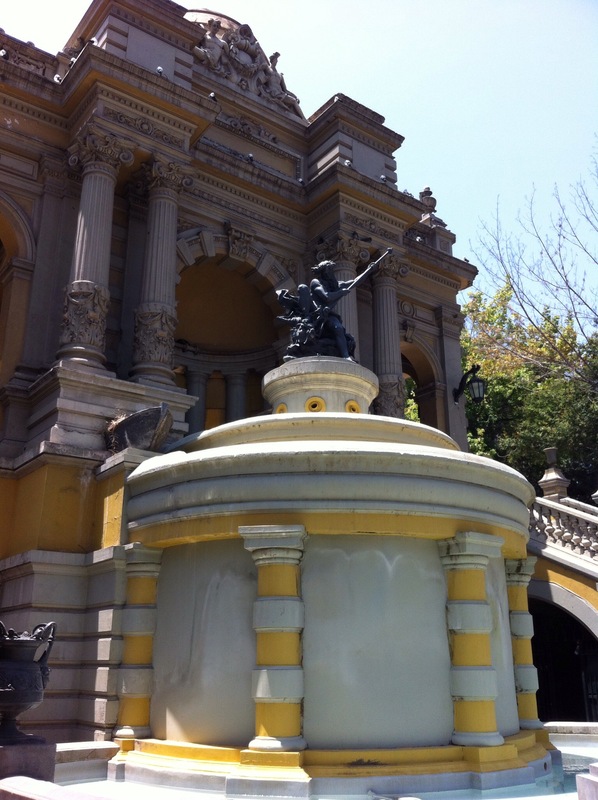 Our first stop was the Museo Chileno de Arte Precolumbino. 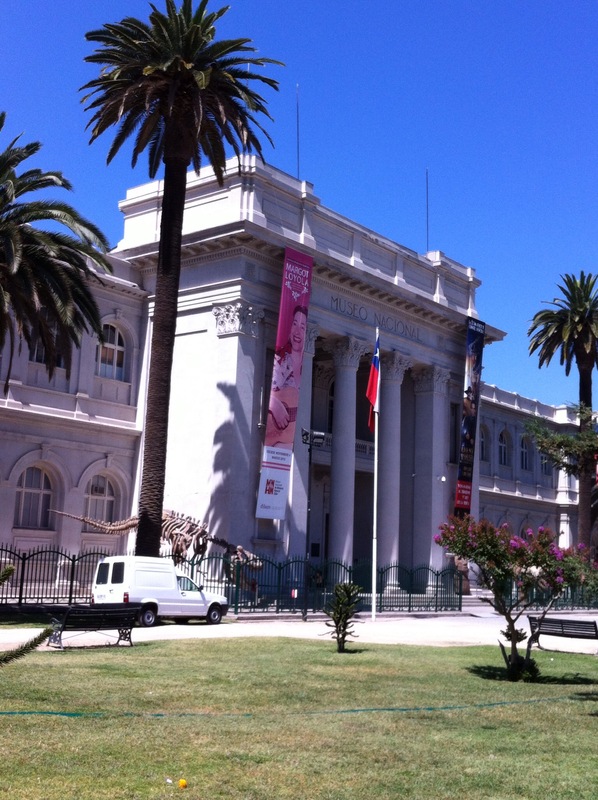 The museum has a fine collection of antiquities from all over Chile, with a fair representation of items from Easter Island, Peru, Ecuador, and Central America as well. 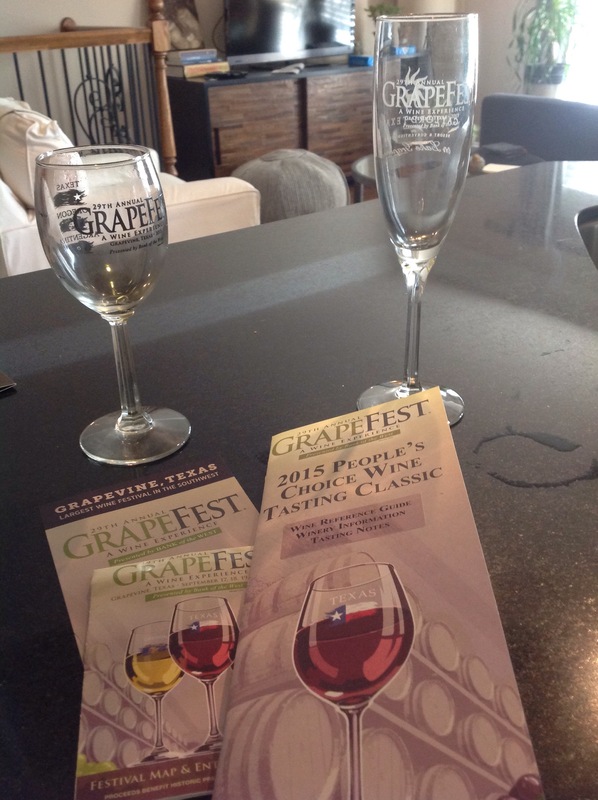 It was not overly crowded and took us about an hour to see all three floors. We enjoyed the museum, but were annoyed to realize later we were shortchanged on our ticket purchase, more than doubling our effective entrance price. Our sleepiness was affecting our processing speed. We were disappointed to find the Museo de Santiago and Museo Historical Nacional were both closed for remodeling this month. With many locals out of town on summer holidays, this is the time they close for renovations. The tourist office told us they would reopen again in a few weeks, but not until after we have gone. We did venture into the Catedral Metropolitana (also under renovation, but still open) and the Iglesia de la Merced before heading to the Mercado Central for lunch. Refreshed, we used our burst of energy to climb the hundreds of steps up the hill at Santa Lucia for a view of the city. Boy practiced his Spanish by ordering ice cream after our hike up the hill. He got the message across, and we all enjoyed a cool treat out of the hot sun. Now, we just have to stay awake until, at least, 6 pm.